There are likely few people who wake up in the morning excited to plan for their retirement. No matter what age you are, it may seem as though you'll always be a slave to the standard 9-to-5 grind. It’s just one of the reasons why so many people end up in trouble when they actually do reach the age where they’re ready to give up their working life. But checking your savings account at age 64 doesn't have to be a nasty jolt to the system when you plan ahead. 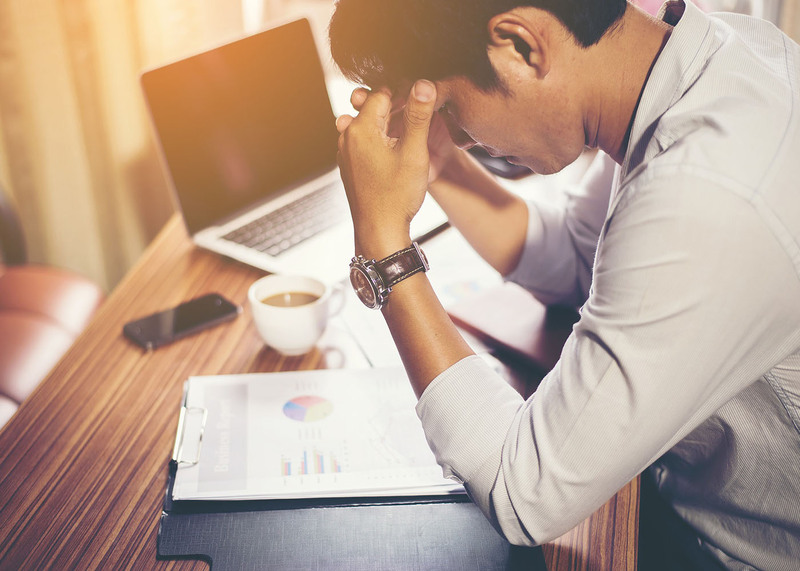 If you’re hoping to have an easy transition from one phase of your life to the next, then you may want to avoid these four surefire ways to ruin your retirement. Retirees who only have one source of income may find themselves coming up short when trying to take care of their daily needs. Experts suggest that you have around five or more income streams that you can rely on. This can be anything from rental income to annuities to pensions. Just be careful that you don't become too dependent on federal retirement income. Social Security is a form of guaranteed payment, but the actual pay-outs from this famous service aren't likely to increase over time. The more you can diversify your assets, the more options you'll have if one form of income unexpectedly falls through. Inflation is one of those inevitabilities that can really sneak up on a person. One day your groceries cost $60 and then the next they cost $63. You may not notice that extra $3 charge, but you'll likely notice when the same foods you've been buying for years suddenly cost you $90. If you're not adopting income that can keep up with the changing times, then you may not be able to retire in style (the way you likely always planned). Real estate, certain types of government bonds, and some pensions promise protection from inflation, as will Social Security payments. Medicare may be available to you once you turn 65 but that doesn't mean you can count on it to pay for all of your healthcare expenses. From coinsurance to premiums, the costs of Medicare can take a huge chunk out of your savings. Those with chronic health problems will likely be more aware of these types of charges, but the advice can be applied to even the fittest of fiddles. Supplemental insurance can be purchased to take care of outside costs of Medicare, such as hearing aids, long-term nursing home stays, and eyeglasses. There's also long-term care insurance, which is generally recommended for individuals who have accumulated significant wealth. It's one thing to take chances when you're young and you have a lifetime to make the money back, but it's another to gamble a nest egg away when you're 58. Once you're seven years away from retirement, it's a good time to rearrange your accounts so you're reducing your risk as much as possible. For example, you may want to roll over your assets into a Roth IRA because these accounts are notoriously inexpensive to withdraw from. This tactic may not be the most exciting way to store your money, but it will certainly give you additional peace of mind as the years roll by. No matter how you take care of your retirement, make sure you have a strategy that makes sense for you and your assets. Talking to a financial planner may be a smart way to choose from the many options available to you. At the very least, it can help you answer some of the more pressing questions you may have had about your finances.